There is an art to an effective medication review. I’ve worked extensively in both long-term care and primary care – wading through the daily challenge of identifying and, more importantly, solving medication-related problems. I have a patient concerned about weight gain. She thinks it may be due to the medicines that she is taking. Can you perform a medication review and identify any medicines you believe may be contributing to this effect? Both glipizide and valproic acid can contribute to weight gain, more so than the other listed medicines. Rarely, sertraline contributes to weight gain. In any event, it shouldn’t be put ahead of glipizide and valproic acid – at least in terms of risk. We need to think about timing, too – when did weight gain commence and did it coincide with the initiation of any of the above medicines? With this information to hand, we may be able to draw a direct correlation. Analyze the dose of each medicine, too. As a rule – the lower the dose, the less likely the medicine is contributing to the specified problem. Finally, if we can ascertain that a medicine, or more than one medicines, is responsible for weight gain – we need to draw up potential solutions. For example – if we have strong reason to believe that valproic acid is the cause, we should assess how effective this medicine has been in treating the patient’s migraine. How many migraines did the patient suffer before and after valproic acid was added to their regimen? What medicine combinations have been tried in the past? The severity of the weight gain should also be assessed. Has the patient gained 5 pounds in a year or did they gain 10 pounds in 2 months? The answers to these questions can inform our decision to select an alternative, more effective medicine for migraine prophylaxis – for example, topiramate or propranolol etc. 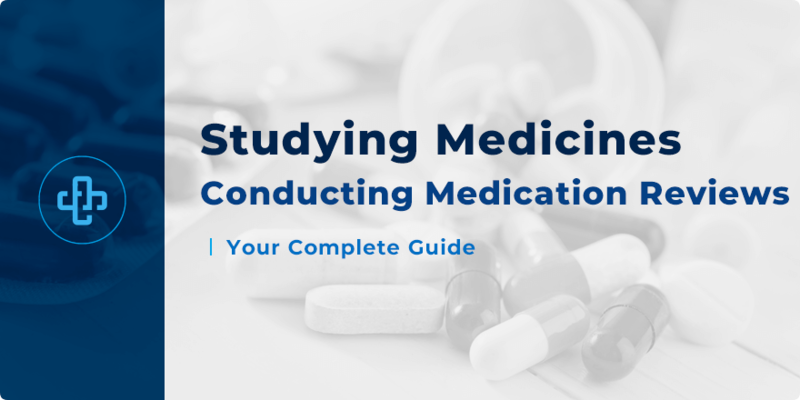 Conducting an effective medication review means approaching the case study from a variety of different perspectives. The more angles you approach the question, the more clinical information you glean and the more appropriate your response is likely to be. Medication reviews don’t have to be difficult. You simply need to apply a professional and methodical approach that carefully identifies the information you need to know. Eric Christianson is the founder of Meded101; a website dedicated to educating healthcare professionals about the art of medication management. His work has been found in publications such as the Wall Street Journal and the American Journal of Nursing among others.